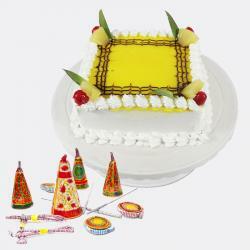 Product Consist : 1 Kg Chocolate Square Shape Cake with Assorted Fire crackers (Worth Rs.300/-) (Note: Types of Fire Cracker are depends upon their availability no specific choice). 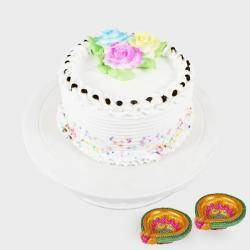 We have brings to you sensational gifts that are sure to make your Diwali celebration memorable. 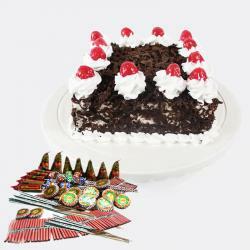 This is a remarkable combo of a luscious 1 kg chocolate cake in square shape and fire crackers worth Rs. 300 that include sparklers ground chakkars flower pots sparkler threads and so on. The cake is garnished with chocolate curls flakes and chocolate frosting. we enables you to send this gift to your dear ones living far even abroad in few easy steps. So make your loved ones smile by treating them to this splendid gift hamper. 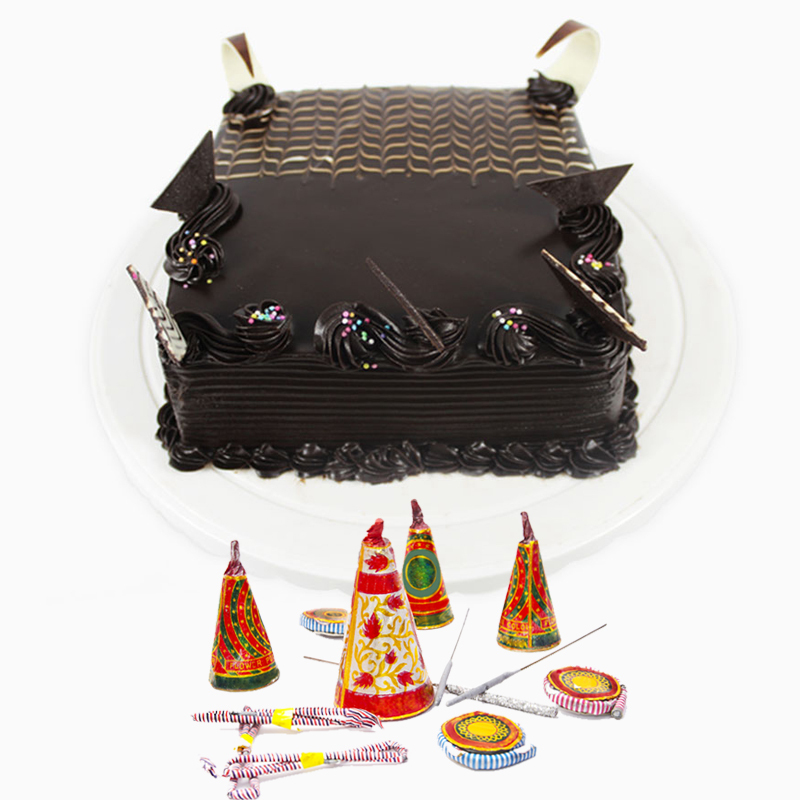 Product Includes : 1 Kg Chocolate Square Shape Cake with Assorted Fire crackers (Worth Rs.300/-) (Note: Types of Fire Cracker are depends upon their availability no specific choice).